The Toronto is one of our latest models. 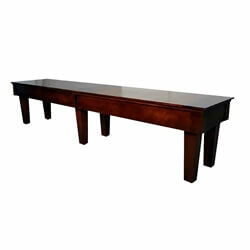 The Toronto Shuffleboard table is meticulously handcrafted with solid Michigan hard maple and dark, exotic wenge wood. The beautiful color contrast and contemporary lines give the Toronto a striking and bold presence. 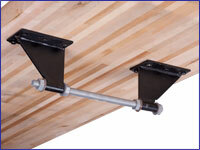 We have also used Walnut wood for a combination of brown and natural maple. 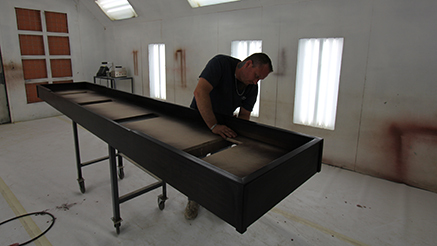 Because the table is custom made we can use any combination of woods your design or home may require. 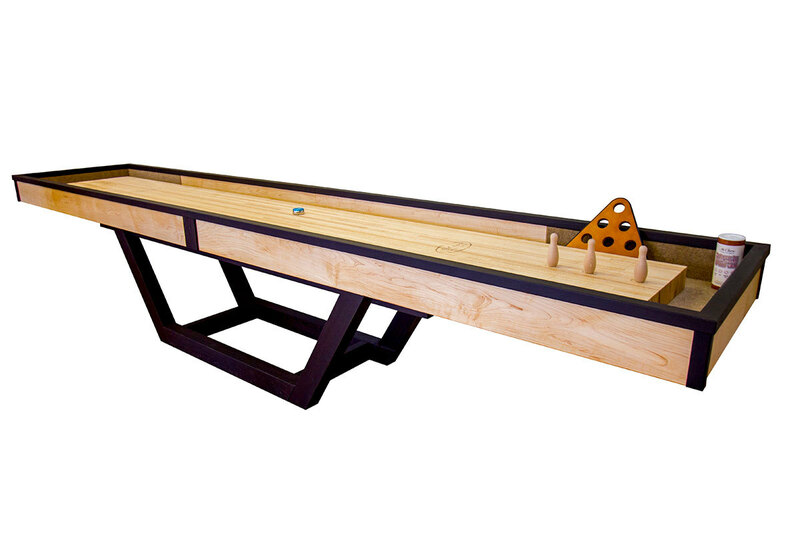 The Toronto also features a 20" wide and 3" thick playing surface that is made from the high-quality North American hard maple. 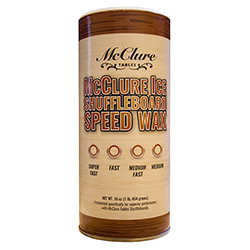 The playing surface is sealed with a specially formulated finish that has a lifetime warranty. 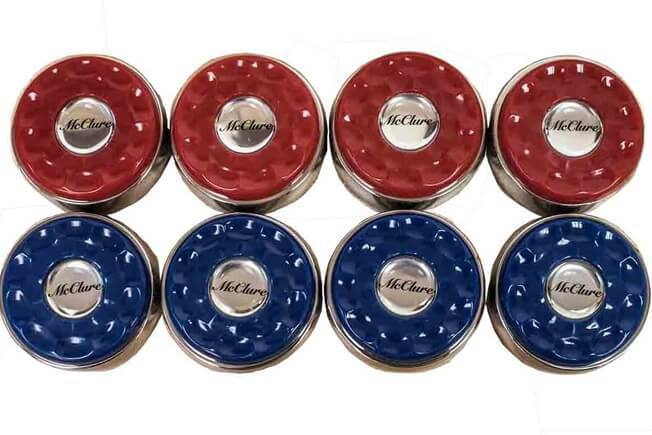 The Toronto Shuffleboard table comes with 8 shuffleboard pucks and 1 can of wax. 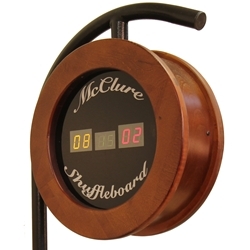 There are also several additional features you may purchase for your Toronto shuffleboard table during the checkout process, including dining tops, electronic scoreboards, and table covers. 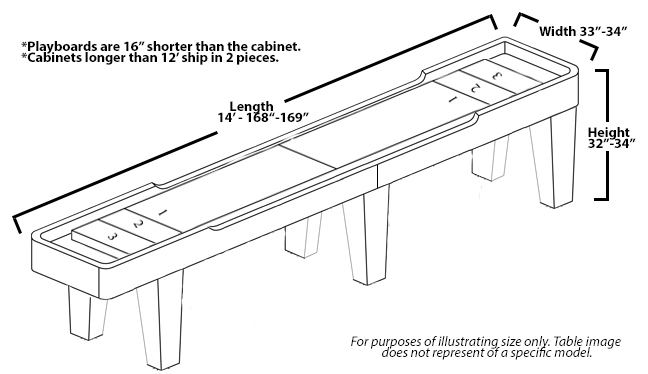 The two-leg option shown in picture is only for the 20' and 22' Toronto Shuffleboard Table.